Home News & Offers News We're opening in Sandbanks! Rick and Jill have announced plans to open a restaurant in Sandbanks, Dorset. With views overlooking the water the restaurant will seat around 200 and is set to open in late autumn. The restaurant will offer classic seafood dishes such as Dover sole meunière, turbot hollandaise and fruits de mer, alongside a more casual lunch time menu with dishes such as a crab salad and moules frites. On signing the lease with business partner Jill, Rick said: “Sandbanks is the perfect place for a good fish restaurant. I’ve had my eye on it ever since I passed through about 15 years ago when I travelled the coast of Britain to make the Seafood Lovers’ Guide. Somewhere to drop in for local lemon sole, oysters or crab I thought, and now my dream has come true. 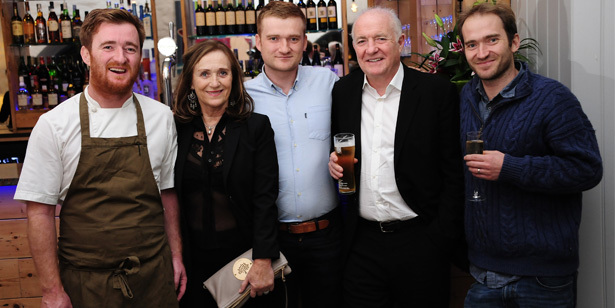 On hearing the announcement of Rick’s new restaurant in Sandbanks, Bruce Grant-Braham, Chair of Poole Tourism, said ‘I am absolutely delighted that Poole will be welcoming a Rick Stein restaurant later this year. Their reputation for quality and fine cuisine is second to none, and will act as a major draw for visitors to the town. Poole already boasts a strong eating-out scene and the investment in this new restaurant will endorse that still further’. The team currently have a number of career opportunities in managerial, kitchen and front of house positions available. If you are interested please get in touch through rickstein.com/careers. Interested diners can keep up to date with the latest news and developments from the new Sandbanks restaurant by signing up to our newsletter or @SteinSandbanks on twitter or on Facebook.